The island lies off the coast of Co Cork. THE FUTURE OF an arts course on an island off the southwest coast has been secured for the next three years after Cork County Council pledged the money to keep the programme afloat. Cork County Council pledged €20,000 in funding to the BA visual arts programme on Sherkin Island for the 2017/18 year after fears that the programme would not be able to continue until May 2018. The council has also agreed in principle to support the island’s development society for the next three years. The programme, a partnership between Sherkin Island Development Society and Dublin Institute of Technology, is estimated to bring €150,000 a year to the island, Aisling Moran, the project co-ordinator for Sherkin Island Development Society, told Morning Ireland in February. 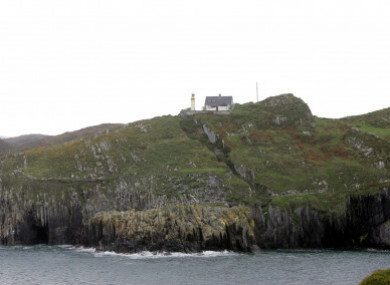 The island, a five-kilometre long stretch of land of the southwest coast of Co Cork, is home to approximately 100 people. Today, Moran said it was “great to be able to look to the future and plan with some degree of certainty”. We are very grateful to all the councillors, TDs, Senators, students, staff, our partners, and all the voluntary committee who have worked with us over the last 24 months. This is a partnership programme that brings local, regional and national agencies together. It was feared that just €10,000 would be given to support the course this year. Mayor of the County of Cork, Councillor Declan Hurley, said today that awarding the full amount of €20,000 gave him “great pleasure”. This three-year assurance will provide sustainability together with opportunity to develop this programme even further. A final-year degree exhibition will run throughout the island in on 19 and 20 May. Email “Future of Sherkin Island arts programme secured as money pledged for next three years”. Feedback on “Future of Sherkin Island arts programme secured as money pledged for next three years”.